We welcome new dealer inquires! At Peak Distribution you will find many of the leading brands of hearth products. Our quick shipping, competitive pricing and knowledge of stove and fireplace installations can make your job much easier. Call or email today for a complete lineup of the products offer. M&G Duravent venting products, DuraVent is a recognized technological leader in the venting industry. Consistently the first to market with new innovations in venting systems, DuraVent has captured a leadership position in emerging markets. DuraVent has patents for several products and continues to design safe and technologically advanced venting.The company's research into solving problems with corrosion, when biofuels such as corn are used, led to the break-through patent for PelletVent Pro. HY-C has been protecting homes and families since 1947 with home improvement products including chimney covers, UL1618 certified stove boards and firewood storage log racks. Imperial is the premier manufacturer of stove pipe & accessories in North America. From selection and quality to production and distribution, Imperial's market leadership is second to none. Aladdin Lamps are the brightest kerosene-burning lamps available! Brilliant white light, many times brighter than any other wick lamp. Simple to use — it’s the only white light emitting lamp that doesn’t require pumping! No batteries needed, either, so it’s always ready when you need it. Proven in use since 1908. R.E. 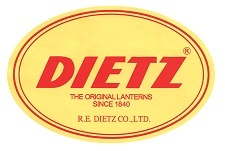 Dietz Company Limited (DIETZ) was founded by Mr. Robert Edwin Dietz in New York, U.S.A. in 1840 and began manufacturing kerosene lanterns, which are commonly known as hurricane lanterns. The terminology reflects the characteristics of the lantern for safely used in hurricane weather. In commemoration of United States of America’s bicentennial, Dietz produced a limited edition of no. 50 Bi-Centennial lantern, which was a tribute to the country’s historic past. 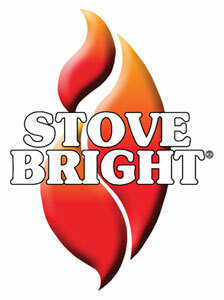 In 2001, TIKI® Brand became part of Lamplight®, also makers of outdoor torches, candles and torch fuels. As a family-owned company, we’ve always had a passion for helping family and friends connect with each other at home. We believed TIKI® Brand could help anyone create paradise in their backyard and quickly started designing new TIKI® Brand products to appeal to a wide variety of people with different yards, patios and styles. Peerless Mantles are made in the Philippines by Gasman Mantle Mfg. Corp. formerly called Coleman Mantle Mfg. Corp. Coleman Mantle Mfg. Corp. was established in 1981 by a group of Filipino-Chinese businessmen. In the year 2007, the company name was change to Gasman Mantle Mfg. Corp. after it was sold to a new owner. It is the leading and sole manufacturer of high pressure incandescent gas lamp mantles in the Philippines for over three decades and still continuously providing customer a high quality standard gas mantles in both local and international market. Coghlan’s Ltd. is recognized as the world leader in outdoor camping accessories. Founded in 1959 and based in Winnipeg, Manitoba Canada; Coghlan’s is a family owned company and has built its reputation on core values of product quality and innovation. And it all started with a toaster. KanJam is a proven example of how American-made manufacturing can be successful, and compete with overseas competition. When we first started our company in 2006 it was presumed that our KanJam game was manufactured in China. After all, wasn’t every sporting good and game item made there? People were surprised to hear that we could manufacture a product made from plastic here in the USA and make it better, and less expensive. KanJam is proof that good old fashion American ingenuity, technology and partnering with your suppliers can get it done. Please use the form fields below to let us know if you are interested in becoming a Wholesaler.